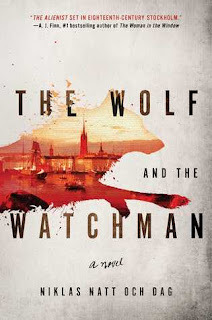 The Wolf and the Watchman is a historical fiction novel by Niklas Natt och Dag. I'm so glad I read The Wolf and the Watchman. I came across it many times while looking for upcoming releases. The title and the cover kept pulling me in, but the historical fiction genre is what kept pushing me back out. When Atria Books offered me a copy and compared it to Patrick Süskind's Perfume, I decided to take a chance. Again, I'm so glad I did! The comparison to Perfume is accurate. Niklas Natt och Dag has a similar voice to Süskind, and the content was oh so dark. The Wolf and the Watchman is exactly the kind of historical fiction my horror loving heart wants to read. I have no idea how to review historical fiction, but I do know I enjoyed the heck out of this book. I love the voice, I loved the characters, I loved how consistently uncomfortable it made me. The Wolf and the Watchman is a beautiful book, too. I tweeted out this picture of the inside, and Hand Made Maps let me know they were the company that created the beautiful interior map. 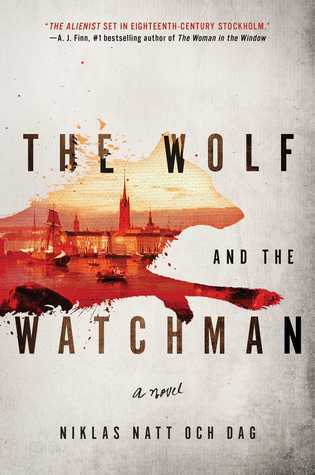 It's still early in the year, but it's pretty safe to say The Wolf and the Watchman will land on my list of favorites for the year. Niklas Natt och Dag is a Swedish author, and I can only hope we are treated to more translated work from him in the future. I've been curious but hesitant about this one. Maybe I'll grab it from the library eventually. This would be a perfect library grab! I need to go read some more reviews. That would make me happy. :) I really enjoyed it. I love the sound of this and I think it's something I would really enjoy. I'll definitely go and seek a copy out.